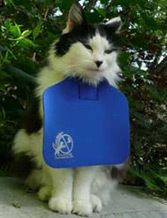 CatGoods carries two sizes of the CatBib. 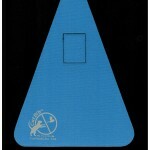 We have the triangular small CatBib and the squarish big CatBib. 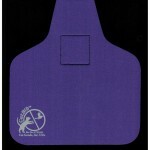 PLEASE NOTE: WHETHER TO CHOOSE A SMALL OR A BIG CATBIB IS BASED ON YOUR CAT’S AGGRESSION NOT ON THE SIZE OF YOUR CAT. University Biological Sciences Department, and shown to stop 94% of cats from catching any birds, 45% of cats from catching small mammals, and 33% of cats from catching herpetofauna. 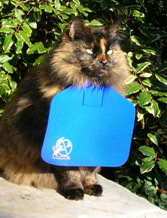 One out of 5 cats may defeat the small CatBib… for those more aggressive cats, the Big CatBib may stop their bird catching. 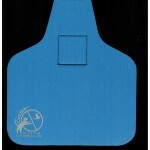 This larger size was tested by customers and works most of the time to stop even the most aggressive cats from catching and killing birds. The BIG CatBib is actually the original design. 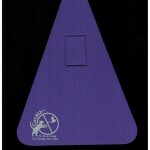 In the beginning, we were strongly encouraged to reduce the size or people would not buy it. 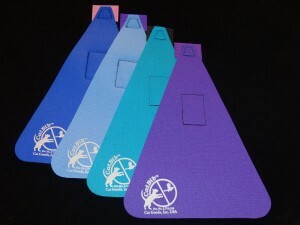 The size was reduced until a balance between effectiveness and smaller size was achieved. In 1998, I was so disgusted with my 3 cats catching birds, that I locked them inside. I made a promise to the birds I would not let them outdoors ever again. After 3 weeks of lockdown, we were all miserable. Cats and humans were very stressed and the house reeked of cat urine (from fights and spraying). I had to come up with a solution to the problem. I was desperate. I thought if I could put a wall between the cat and the bird it was stalking that would stop the killing. 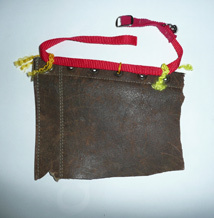 My first prototype was a piece of my husband’s old leather boot. I attached it to the cat’s collar and let that one cat out. It worked! No birds killed for a week. The poor cat was so uncomfortable with this stiff piece of leather on her collar that I began to search for a softer material that still worked. 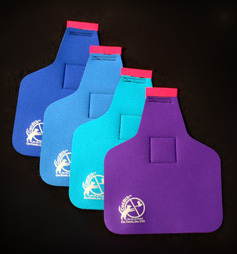 I ended up with neoprene as it is water proof, flexible, but has enough structure to act as a “wall” coming between the cat and the bird. 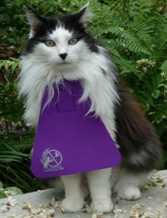 Over 200 testimonials and photos of cats wearing the CatBib!!! 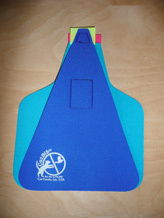 Click here to read about our happy customers and their testimonials about how effective the CatBib was for them, their cats and saving the lives of birds. How much is it going to cost me to save birds? Do You Carry Cat Collars? Our site is secured with an SSL to protect your data. None of your information is ever stored on our servers to greater protect your shopping experience.